A Christian leader in a large association of churches here in Ghana once told us a whole series of stories about how people had misunderstood the songs they were singing in church, sometimes even singing nonsense. Why? 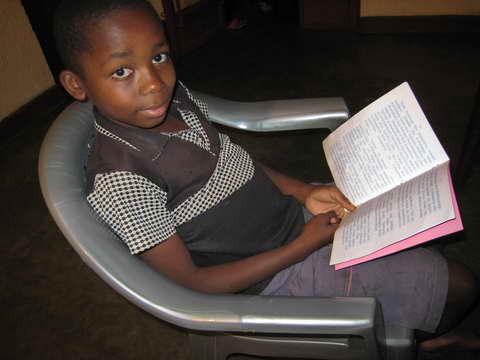 Because it is not an unusual experience for African Christians to not understand what they hear in church. The Bible reading, the sermon and even the songs may be in a language they do not understand, or understand only partially. This circumstance creates strong metamessages. 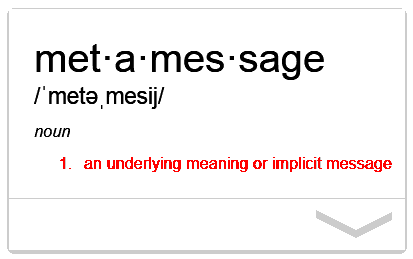 A metamessage is an unspoken message that comes alongside the spoken message. It can be true, or it can be false. 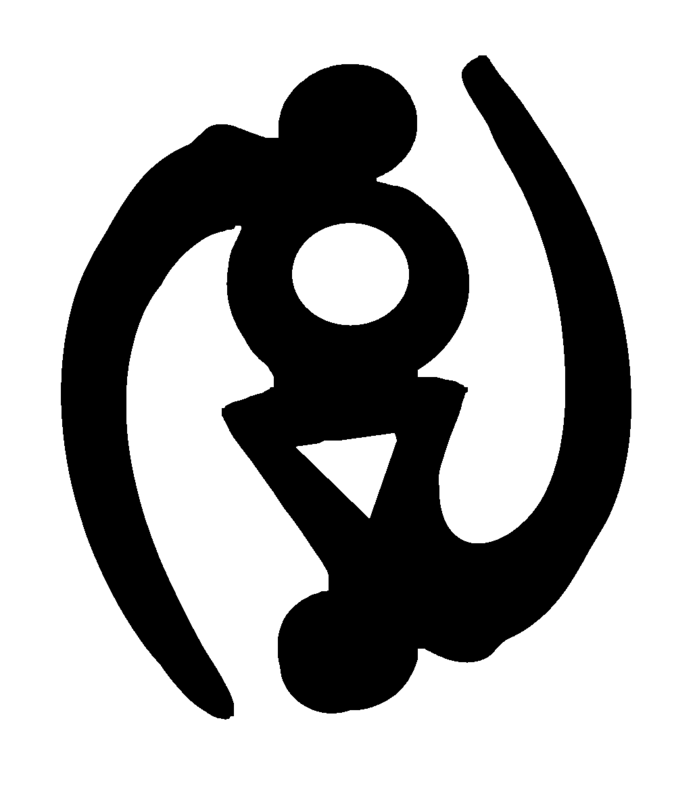 The person speaking may or may not be aware of the meta-message he or she is creating. They may be intentional or accidental. If I speak in public using fancy vocabulary, I may create the meta-message that I am snob, or my hearers may think that they are unintelligent. I may intend that, or I may not. If I read a older Bible translation, some who hear may think that Jesus himself spoke with archaic language. We create meta-messages almost every time we speak and when we hear; it is a normal part of life. When a Christian sits in church year in and year out understanding only partially what is being preached, that person will create meta-messages which fit that reality. 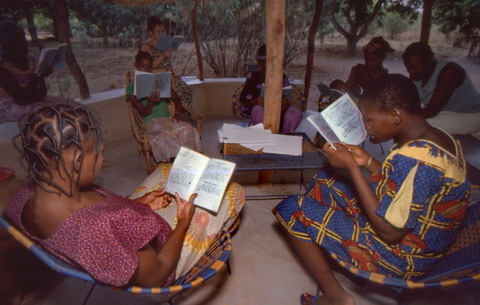 For the Togolese woman mentioned above, it was “only pastors can understand what God is saying”. Others will create the meta-message that preaching is magical, or that the Bible is magical – the words have power whether they are understood or not, like abracadabra. They may come to believe that Pastors are necessary intermediaries between them and God. Interestingly, when the Bible was first being translated into the languages of Europe including English, the translators were trying to dispel lots of wrong metamessages which had been created by the use of Latin in the church. Translation of the Bible into the heart language, the language people really understand, dispels false meta-messages. It returns faith to a personal level, assuring each person that God speaks to them, cares for them. We hear the testimonies of that all the time. repentance and forgiveness of sins should be proclaimed in his name to all nations. Missions, including local and world outreach, are not an optional add-on — something tacked on in an “Oh, by the way” fashion. They are not an afterthought Jesus added at the last minute before he went back to heaven. Rather, outreach is God purpose and intention, indeed His own mission, from the beginning and throughout. Like Africans everywhere I have been, Ghanaians are very religious. Churches dot the southern and central parts of the country and there are quite a number in the north. 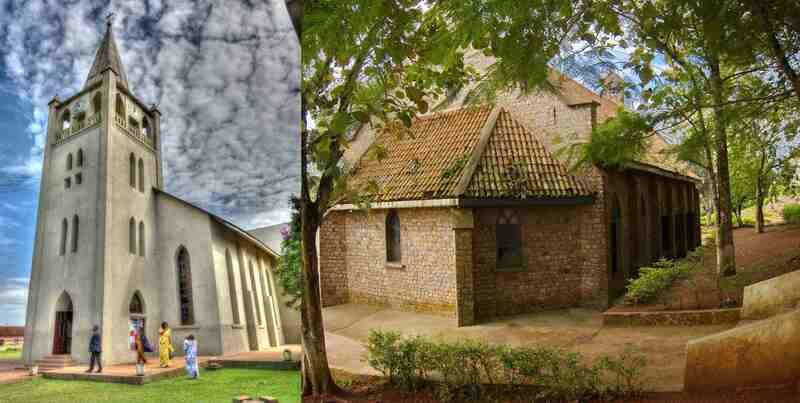 A number of those in the south were built in the 1800s by missionaries in classic Western church architectural style, like the ones in the photos below, but many are very simple buildings or even just little shelters. But that is not my topic today. 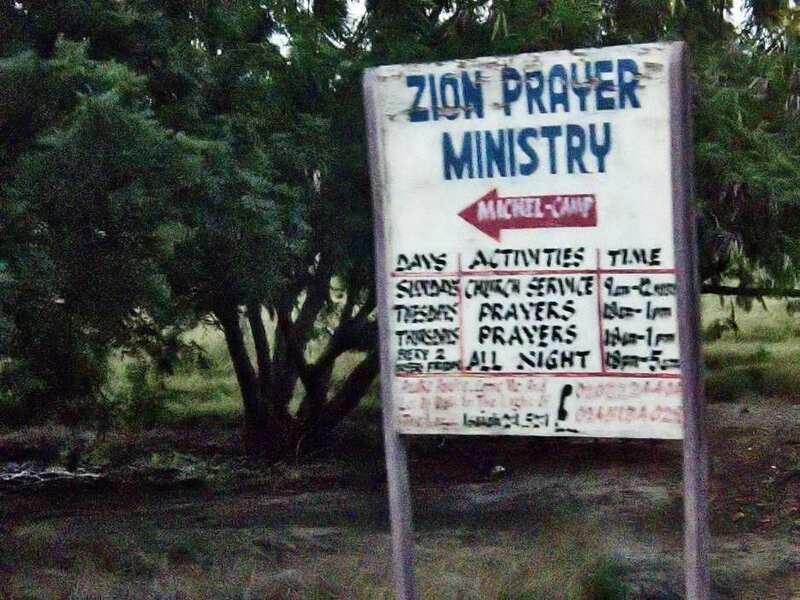 Rather, it is the prayer centres (Ghana follows UK spelling for English), prayer houses and prayer grounds which one sees here and there. Despite its modest construction, this prayer center is in the capital city. In my travels in the US, I don’t think that I have ever seen a sign along the road for a prayer center, prayer house or prayer ground. Here, you cannot drive very far without seeing at least one. I would have more photos of them if they signs did not fly past before I had time to snap a picture, or the road was wide enough to pull off for a photo without creating a traffic hazard. Prayer is an outstanding feature of Christianity in Africa. All night prayer meetings are not uncommon. The prayer centers I have seen are humble, rustic, basic affairs, not to say crude or inadequate. From my perspective they are under-resourced. Does God think that they are? Does their lowly construction make them less helpful? I wonder. I have written before that mobile phones are the first technology to be more quickly adopted in the developing world than in the places we usually associate with technology. There are lots of reasons for that, including that owning and operating one is not expensive and saves a person time and money. But that is not my story. Dayle and I each have a phone here in Ghana with a network called MTN. We have a prepaid account, do not pay for incoming calls, and probably spend about $10 each per month on the phone, often less. Each mobile network has its own color and they each paint houses and buildings along the road in their color as advertisement. And now you know what kind of songs and message MTN thinks its Ghanaian customers want. I’ll bet that they are right. Not long ago 60 Minutes did a report called Joy in the Congo: A musical miracle. If you have not seen it, you should. But the rest of the story is even more interesting. The name of the orchestra gives us a big clue. It is the “Kimbanguist Symphony Orchestra”. 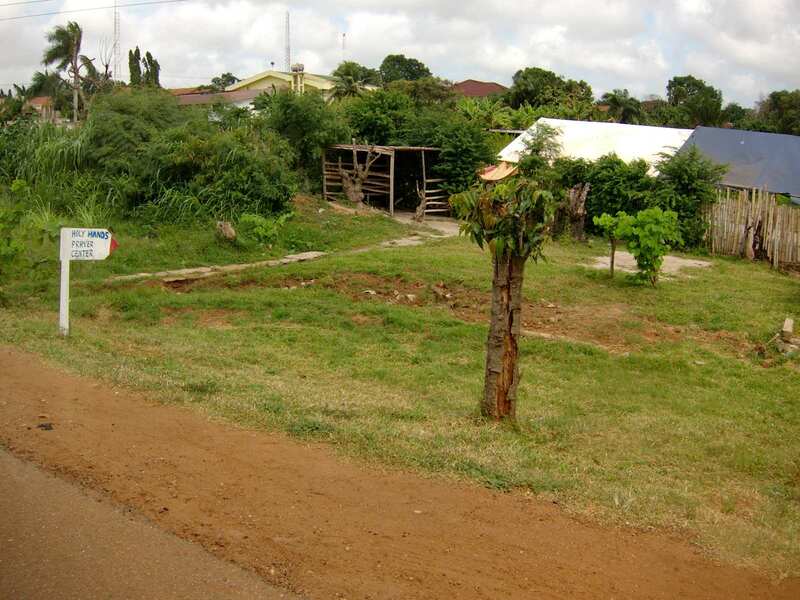 The Kimbanguist Church (that’s right, a church) is perhaps the largest African Independent church at 5.5 million members. 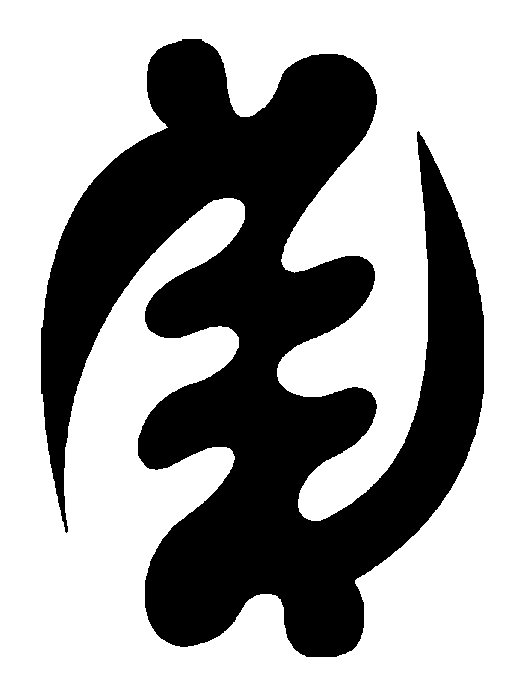 It was founded by Simon Kimbangu in the Democratic Republic of Congo, then the Belgian Congo. 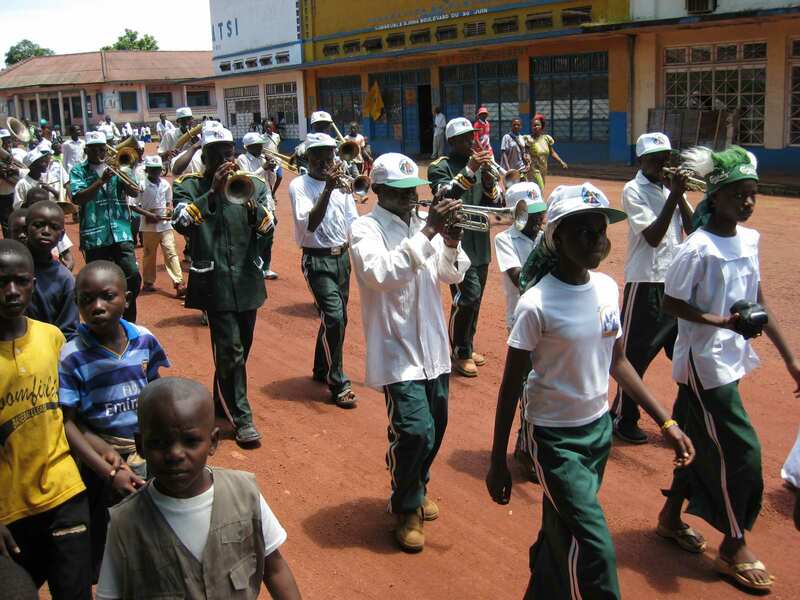 They are known for their brass bands, such as this one I found parading in the city of Isiro. It was the leader of the Kimbanguist church himself who gave the instructions to start music groups with more variety that eventually led to the formation of the symphony orchestra. They had vision, but not much else: few instruments, no one who could read music. 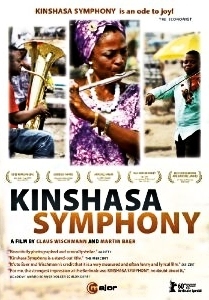 More, even Congolese laughed at the idea of classical music, saying that it just puts people to sleep. But they kept at in and they are making a sensation. You can buy a DVD documentary of the orchestra on Amazon! All this happened in a country where corruption, abuse of human rights, sexual violence against women and poverty are rampant. 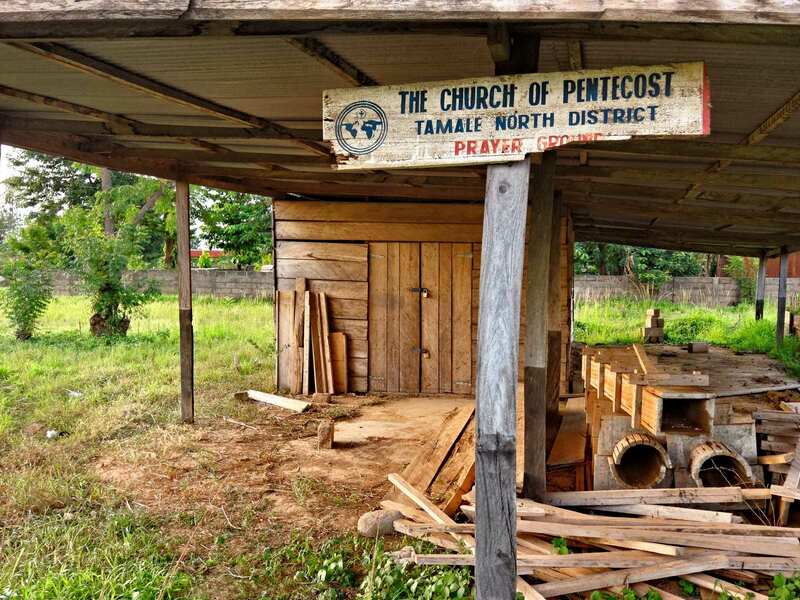 The Kimbanguist Church has lost its way a bit, but it seems that there are reform movements in the church that could bring it back into the mainstream. 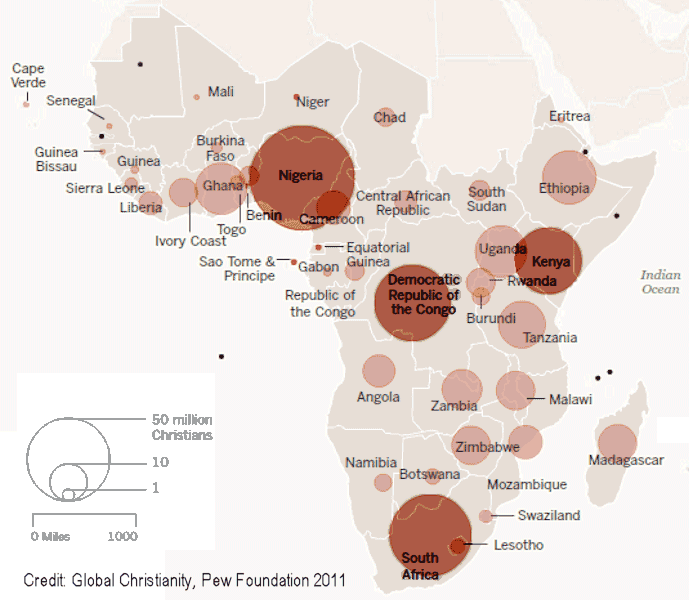 Christianity is growing fast in much of Africa. Up to now, that growth has mostly been in numbers. But now there are many signs of growth in depth. The world may not take Africa seriously. It may not take Christianity seriously. 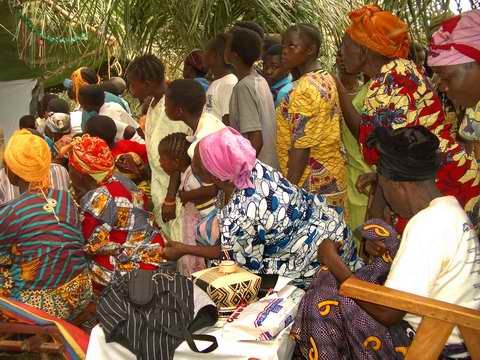 But just watch and you will see the suffering, poor, patient, and faithful people of God in Africa will do impressive things in the middle of the messes made by their leaders. A symphony orchestra? You ain’t seen nothin yet! 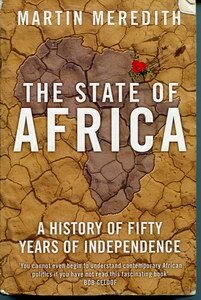 Meredith is more pessimistic than other authors, but there is no doubt that Africa’s people have suffered much and many continue to suffer. Some have given up on the continent or considered it “hopeless” as did The Economist magazine in May 2001. 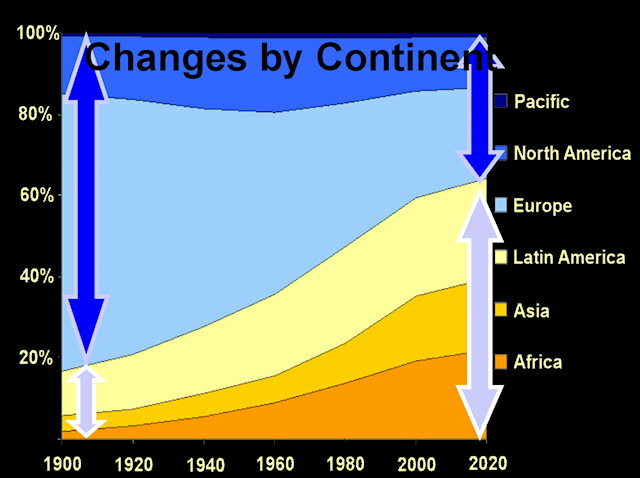 The growth of the church in Africa and other places outside North America and Europe was first noticed by Dr. Andrew Walls who wrote “The Missionary Movement in Christian History”. A spate of books has followed as you can see below. In ways they probably never saw during their lifetimes, God honored the faith of the first missionaries, those who sent them and t hose who stood behind them financially and in prayer. We also easily forget the hardships endured by the first missionaries, as a previously undecipherable letter from David Livingston recently revealed. Those who believed under the missionaries’ ministry did most of the evangelism. The majority of African Christians today believe because of the witness of another African and the vitality of African churches. 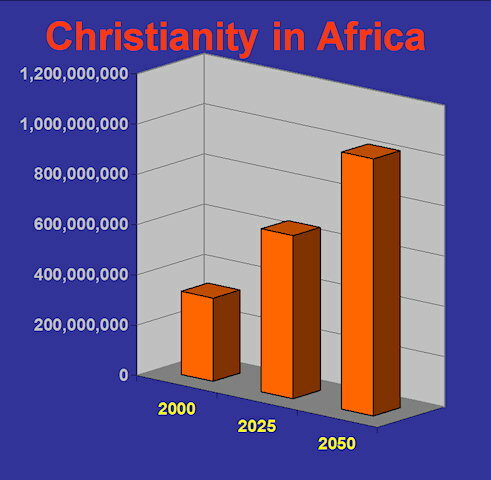 Sometime in the next decade Africa will become the center of world Christianity at least in terms of sheer numbers of believers. 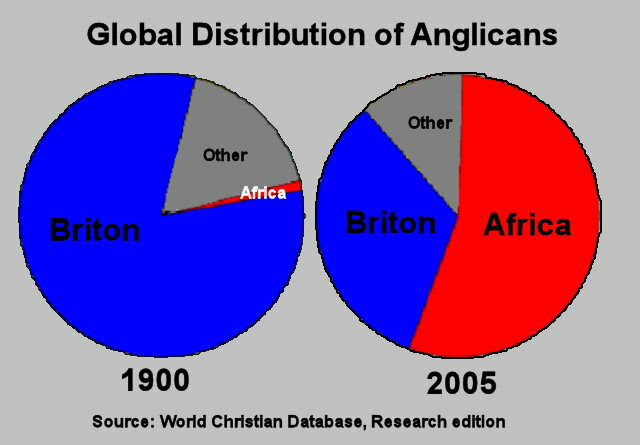 Some church denominations which sent missionaries to Africa no w have more believers in Africa than where they originated. The Anglican church is but one example. 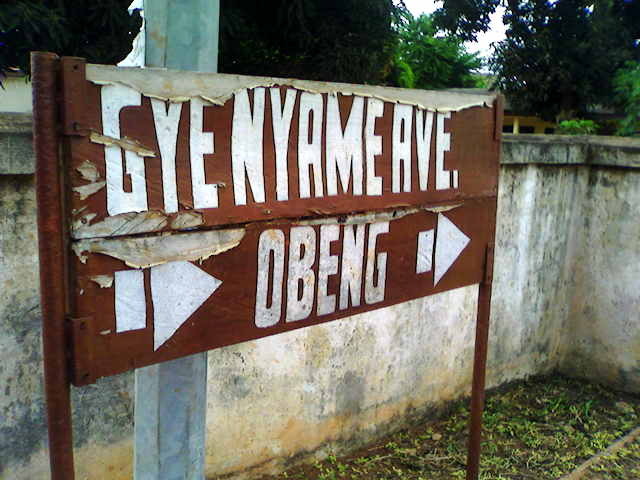 During my visit to Ghana in June 2010, the evidence of this trend was everywhere. As I noted in my blog at the time, there were churches everywhere including mega-churches filled with growing numbers of the middle class. Bible themes and names are evoked in the names of businesses and on vehicles. The country where Dayle and I work – the Democratic Republic of Congo – went from 3% Christian to over 90% from 1900 and 1970. It is estimated that by 2020 that country will have more evangelical Christians than any other country in the world. For some, this presents a conundrum – how is it that a continent can be overwhelmingly Christian and yet fare so badly? That is much too big and complex a question to answer here. Its answer is probably found as much in the assumptions behind that question as in Africa. 26 My dear friends, remember what you were when God chose you. The people of this world didn’t think that many of you were wise. Only a few of you were in places of power, and not many of you came from important families. 27 But God chose the foolish things of this world to put the wise to shame. He chose the weak things of this world to put the powerful to shame. 28 What the world thinks is worthless, useless, and nothing at all is what God has used to destroy what the world considers important. 29 God did all this to keep anyone from bragging to him. 30 You are God’s children. He sent Christ Jesus to save us and to make us wise, acceptable, and holy. 31 So if you want to brag, do what the Scriptures say and brag about the Lord. At its birth, Christianity was a religion of the powerless and marginalized but for the last few hundred years it has been associated with the most powerful and prosperous countries of the world. Today, God is taking Christianity back to being a religion predominantly of the marginalized and oppressed. There is no doubt that those in the powerful countries who are abandoning the Christian faith consider Africa one of the “weak things of this world”. If we watch long enough, the rest of this Scriptural equation will come true – Christianity in Africa will “put the powerful to shame”. On my way to Chad I had to overnight in Addis Ababa, Ethiopia. In the morning I looked out my room window and saw this. I assumed that the building was a mosque. Only when looking at the photo closely later did I see the crosses on the top, not crescent moons, so this is an Orthodox Church. 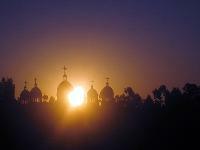 Ethiopia has large number of Christians and the orthodox church has a very long history here dating from 330 AD. 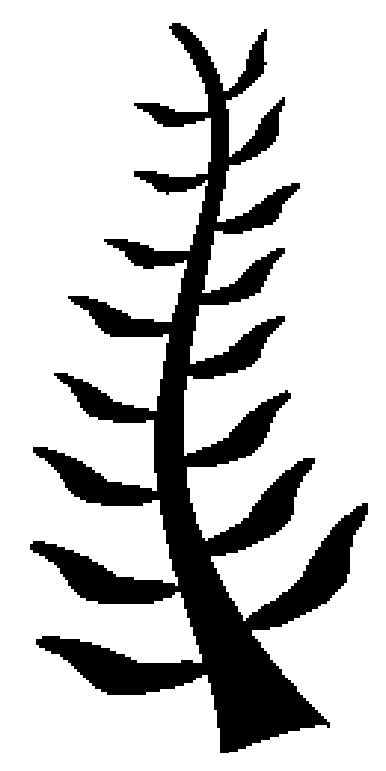 Its even has its own web site http://www.ethiopianorthodox.org/. In fact, no more than nine countries in the world have more Christians (of all persuasions) than Ethiopia, and a large number are evangelical. In Chad, on the other hand, Christianity is relatively new having come early in the 20th century. Also, most Christians are in the south, whereas most people in the north of Chad follow Islam.